"How Can I Write My Essay Easily? " Follow 10 Simple Steps! "How Can I Write My Essay Easily?" Follow 10 Simple Steps! When it comes to writing essays, no one can say that the work can be done easily. Some students have natural talent in written expression, but even they have to spend many hours in research and writing before they come up with captivating content that would get them an A. However, you shouldn't despair and think "I could never write my essay like my professor wants to". If you manage to go through the following 10 stages of essay writing and practice regularly, your professor will definitely start appreciating your effort more than usual. Pay attention to the essay question. Don't hurry to get to the writing process. The first thing you need to do is to read the essay requirements. Highlight the keywords in the question and make sure to answer it as clearly as possible. The key point here is to understand what you are required to do in the essay, so pay attention to words such as compare, discuss, explain, and similar. If there are any words that limit the discussion, make sure to pay attention to them. For example, if the essay question is requiring comparison between the literary styles in the eighteenth and nineteenth century, you aren't supposed to focus on contemporary literature in your essay. Your discussion needs some background. Find reliable sources! If you think "okay, now I get the question and I can write my essay easily", you have the wrong approach right from the start. You need to find relevant sources that will support your argument and convince your professor that you know what you are talking about. Make sure to reference all used sources according to the required citation style. Researching through relevant scientific and academic sources is important, but you shouldn't allow them to form your concepts entirely. You need to think of interesting ideas that will use those sources in a unique manner. There is a technique that will help you achieve that, and it's called brainstorming. Students commonly underestimate mind maps, but they can be very helpful at this stage of the process. The thesis should be your main argument that will present your response to the essay question. This statement shouldn't be too simple if you want it to lead you towards an in-depth discussion. Make sure to relate each argument in the essay to your thesis. You won't get anywhere without a proper plan. The outline will keep your discussion on topic and enable you to complete the essay faster. It's time for writing. Start with the introduction. The best place to start is the beginning. Introduce the thesis and write a focused introduction that will lead towards your discussion and explain how you will answer the essay question. The body of an essay is the part where most students struggle and think "maybe I won't write my essay after all". Don't give up and keep the main thesis in mind. Use the sources you located during the research phase and discuss them from your own point of view. All your main ideas should come to a logical closure in the essay's conclusion. This is the part where you show how your thesis has been proven throughout the discussion. The conclusion should not be a simple statement; it should be a relevant comment that provokes thinking and further research. You're not done yet. It's editing time! 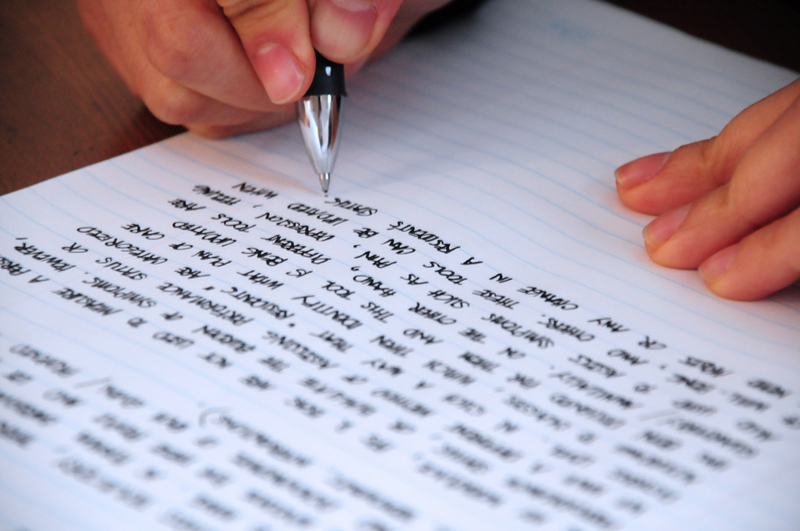 Although you feel like you have already completed a lot of work, you have only written the first draft of your paper. The content will need a lot of proofreading and editing before it's ready for submission. Make sure there are no mistakes in terms of spelling, grammar, and punctuation. Don't hold back and get rid of all unnecessary parts; they are only diluting your discussion. Submit the paper on time. vEssay writing consumes an unbelievable amount of time. However, your professor won't accept any excuses and you have to submit a neat copy on time if you want to get a high grade. The best way to achieve that is to start early. Everyone can improve their academic writing skills by following few easy steps that will make the assignment less complicated. You will never achieve the wanted results if you give up, but the success will be inevitable if you practice your academic writing skills and go through the process without missing any steps.